Eden Spiritual Care wants to support you in your spiritual journey. In a spiritual direction session you will meet one-on-one with a trained and certified spiritual director who will join you in listening and watching for God’s guidance and presence in your life. Spiritual direction may be likened to counseling in that both offer you the opportunity to process your current challenges, hopes, fears, and questions with a professional who will hold what you share completely confidential. Spiritual direction is different from psychological counseling in that the focus of each session is on your spiritual growth and faith journey, rather than on offering mental-health treatment. Anyone willing to take a close and honest look at her or his experience of God and faith/spirituality can benefit from spiritual direction. "Sierra, I love our get-togethers and the conversations that we share....your friendship and mentoring means a lot to me....I know that God has filled your heart with love and kindness, and I can't thank you enough for sharing that with the world." --M.M. Sierra is currently holding spiritual direction sessions in quiet, low-distraction spaces on the George Fox University campuses in Newberg, Oregon and Portland, Oregon. Meetings at alternate locations and by Zoom/Skype are also available, if you prefer. Eden Spiritual Care spiritual-direction sessions are 60 minutes in length. Scheduling once every two to four weeks is recommended. The suggested donation for one session is $60.  Contact Sierra to set up a complimentary initial consultation to determine whether spiritual direction through Eden Spiritual Care is a good choice for you.